Kevin: Hello in Sochi, where I'm attending the Games as a sponsor P.R. contact (freelance), Olympic blogger and fan. 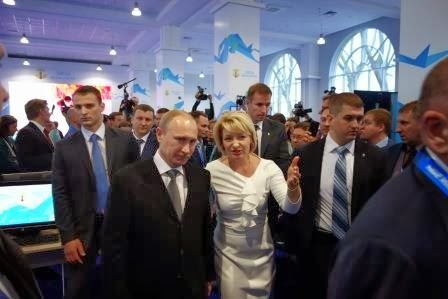 In response to your story about Brittany Schussler's selfie with Putin, I'm writing to share some perspective as another person who snapped a selfie with the Russian President (see attached) on Feb. 10 at Sochi Media Center. This selfie ran in the Atlanta Journal-Constitution on Feb. 15. 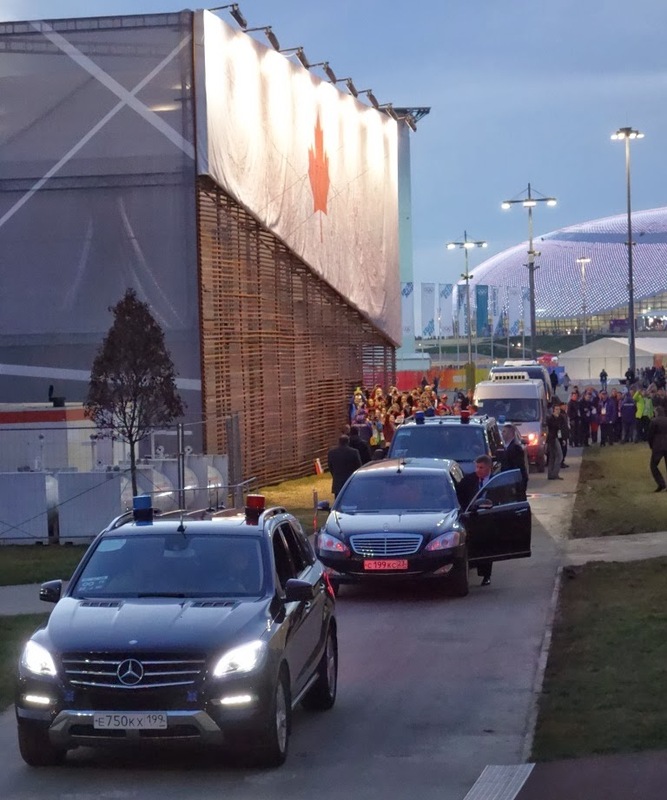 Here at the Olympics, it's fair to say many North American attendees are no longer buying the party line back home that Russia and these Games are all politics, gloom and doom. 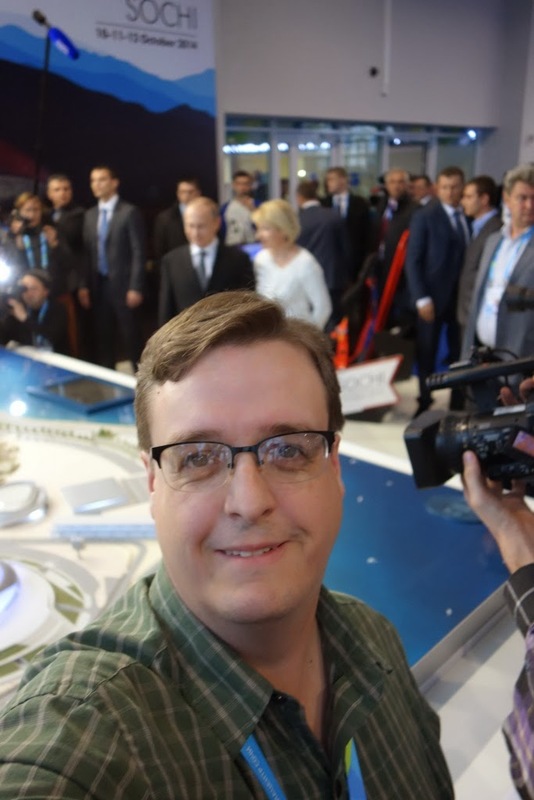 When Putin visited the Sochi Media Center proving a selfie opportunity for this writer, I was not thinking of gay rights, terrorism, nor any other fear-inspired mainstream message in the USA. I was thinking, "Wow! 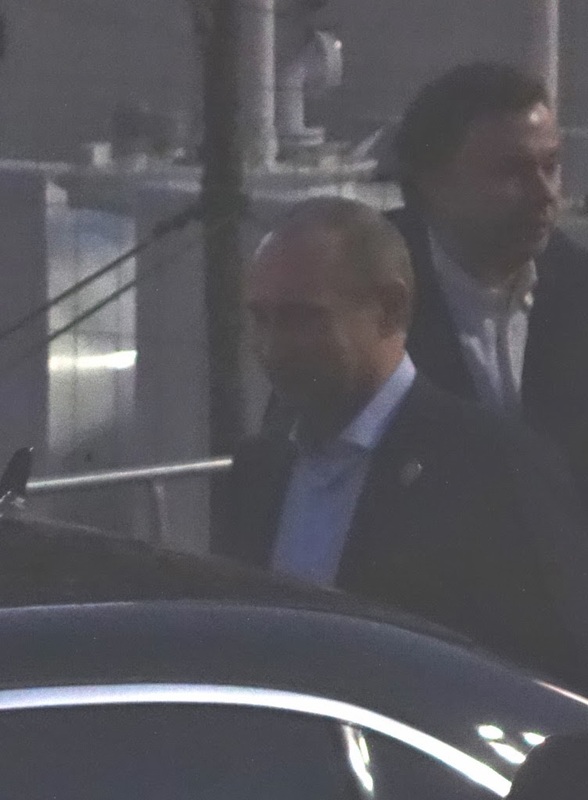 Here is a world leader, I'm at the Olympics, and this is really cool to witness history in person!" I suspect Schussler's enthusiastic selfie and Tweet, like my own @NickWolaver, was in response to the adrenaline of the very exciting presidential visit to Canada House (we had the same energy next door at USA House, where I attempted a second presidential selfie). Would anyone not feel the same if they had the opportunity to pose for a selfie with President Obama, any other world leader or Olympian? The crowd at Canada House was cheering and excited, and Schussler was caught up in the enthusiasm sans politics. I can appreciate why some in North America are reacting as they are to Schussler's photo -- they are not "in the know" about the positive vibe at these Games that, as in Vancouver, Salt Lake or any other Olympic host city, is very upbeat, relaxed and fun. If they had more information or the first-hand experience on site in Sochi, they might not have such a strong reaction. 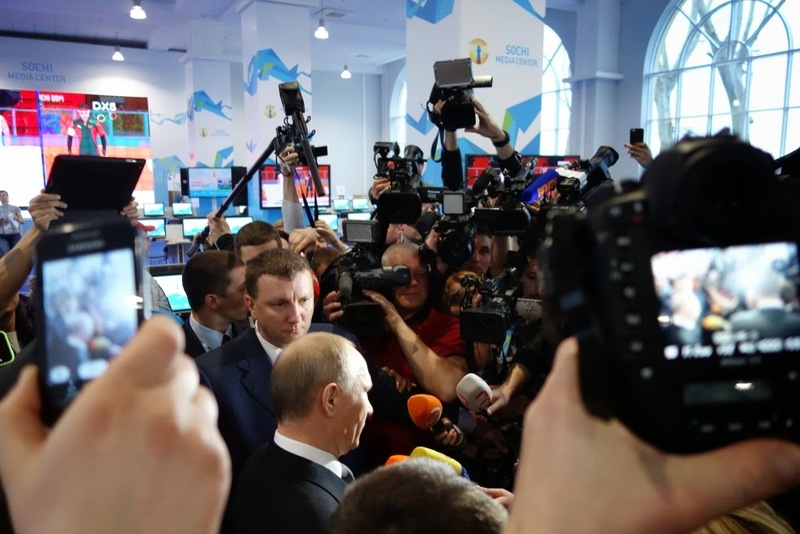 Do I agree with Putin's politics? No. 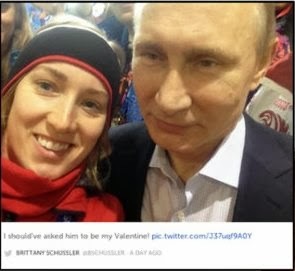 Would I pose for a selfie if again our paths cross in Sochi? Absolutely! And so should Brittany Schussler. We're at the Olympics, he's a world leader of the host nation, and the idea of the Olympics -- as cheesy or old-fashioned as it has become -- remains to put politics aside, if only temporarily.